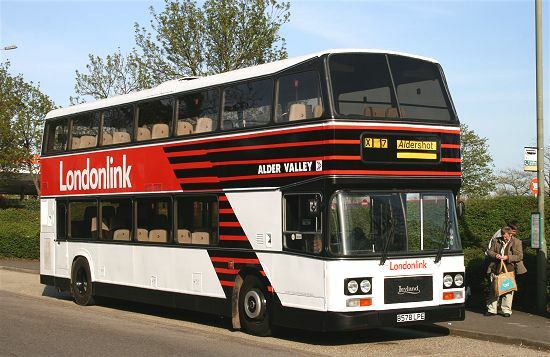 Preserved Alder Valley vehicle 1510 is a Leyland Olympian with a ECW 73 seat coach body used from Alder Valleys Aldershot Depot on Londonlink commuter services. It is one of 10 similar vehicles delivered between 1983 and 1985 and is the newest of the batch. The coach Olympians were very successful, popular with the passengers and a pleasure to drive. 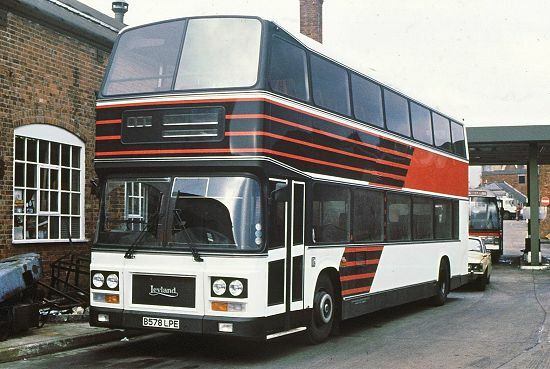 There were very few double decker coaches at the time and when driving into Victoria Coach Station with one of them, drivers really felt like Kings of the Road. 1510 had a relatively short life with Alder Valley being withdrawn in September 1991. Londonlink was starting to decline by then, being killed off by London traffic. Commuters did not want to sit in a coach for sometimes nearly three hours to get to work when they could do it in one on the train. 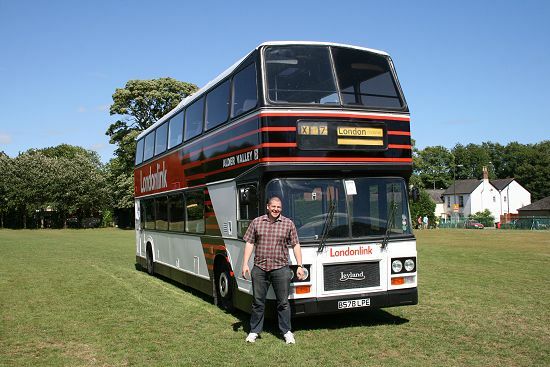 This coach passed through a number of owners before it was bought for preservation by Chris Martin. Chris has done an excellent job restoring the coach and it now looks every bit as eye catching as it did when it was new. It made its debut on the rally circuit at Cobham 2010 and is photographed here with its proud owner at the Alton Rally, also in 2010. Leyland Olympian 1510 with its owner Chris Martin at the Alton Rally 2010. Leyland Olympian 1510 when new at Aldershot Depot January 1985.